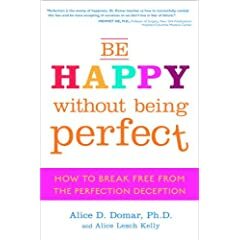 I was interviewed for the book, Be Happy Without Being Perfect: How to Break Free from the Perfection Deception . I'm not sure whether my interview actually made it into the book, but I will definitely be picking up a copy to check out. Pre-order yours today! Unfortunately, Adam suffers from perfectionism as well. Part of his homework is to record the number of minutes that he reads every night. He likes to write down the exact number of minutes according to his digital clock, usually around 14-18 minutes (been whizzing through his books). One night, he failed to note the starting time, so he didn't know exactly how long he had been reading. He got all upset that he wouldn't be able to record the exact number of minutes and it was too late to start over. He was so besides himself that no amount of comforting or reasoning would help him. I told him it was OK to "estimate" the time, like when he estimated objects in kindergarten. Finally after about an hour, I came up with a mathematical solution that appeased him. I told him to look at the clock, read the same number of pages that he had previously read, and then double the minutes so that total time would be exact. It was already close to 10pm at this point, but he was finally happy that he had a perfect solution and did it. When do I break it to him that if he goes to MIT, he can't possibly do all the work perfectly and will have to learn to punt and do things half-assed when necessary? Shh, not that his mom ever did.